I have collected many many sewing patterns over the years, well, since I began sewing at age 12 and I got a nice used Singer sewing machine for my birthday. I think it was to keep me from wearing all my Mom's clothes she made and to (hint) make my own. A few weeks ago I came upon an estate sale selling 8 boxes of vintage patterns, a few from the 20s and 30s, most from the 50s and a few from the 70s. I couldn't resist and bought all 8 boxes, such a deal. The daughter, Amy a massage therapist, came out from Brooklyn to empty out her mothers storage from when her mother closed her vintage shop in the 90s. I spent the next several days sorting my 'new' patterns and my 'old' patterns by brand and number and filing them accordingly. So, as I go through my pattern files, some I'll keep and hopefully make and some I'll do a PDF file to sell and some I'll sell 'as-is' in my Penelope Rose studio at Artfire. Also, as I was going through my old patterns, it brought back many happy memories of all the wonderful clothing I made for myself and my daughters over the years. 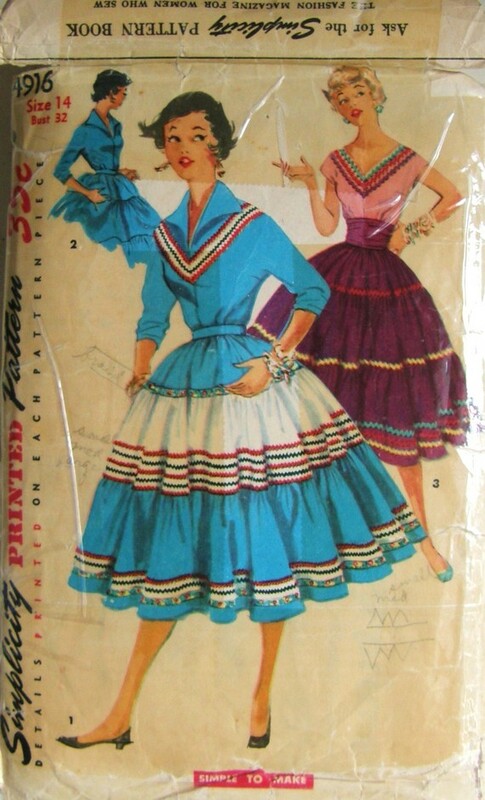 Another interesting tidbit from purchasing all these patterns is that when I find vintage clothing that has been handmade, I have actually come across the original pattern. I recently sent a vintage dress to Australia and then found the pattern in my collection that the dress was made from, I sent the buyer of the dress a photo of the pattern. 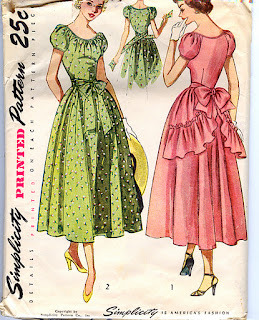 So here are some photos of what I have to decide on what to keep, what to sell and what to make into a PDF file, either way I love looking at the these vintage patterns. I am so glad pattern companies decided to print on the pattern pieces, it gets very confusing sewing with unprinted patterns. Do you have a favorite pattern, company or vintage style you like to work with? I love these two patterns and would definitely love a dress in the first one just a tad above my knees though :) I am just learning to sew. I ordered a book called Yeah I made it Myself by Eithne Farry. I hope it motivates me. I can see where sewing would add to your unique style, if you can't find what your looking for you can sew it! If you need any help or tips ask away, I may be able to help, Happy Sewing! No! All those are yours? My goodness! 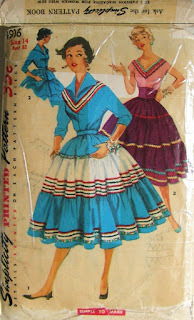 My favorites to sew with are McCall's patterns from the 60s and 70s. They seem to always work well for me. Yes, all mine, I've been collecting for years and then I went and bought over 800 vintage patterns just recently to add to my collection. I like working with the McCall patterns also, and the Simplicity ones, the 60 and 70s patterns were fun, and making shift dresses was easy. Sometimes I would change the patterns around and intermix the pieces to get the designs I wanted. My grandmother was an accomplished seamstress. Her basement is full of old patterns, a few that she created herself. It makes me sad that I don't know how to sew. I even have a machine. Did someone show you how to do it or did you just learn by trial & error? 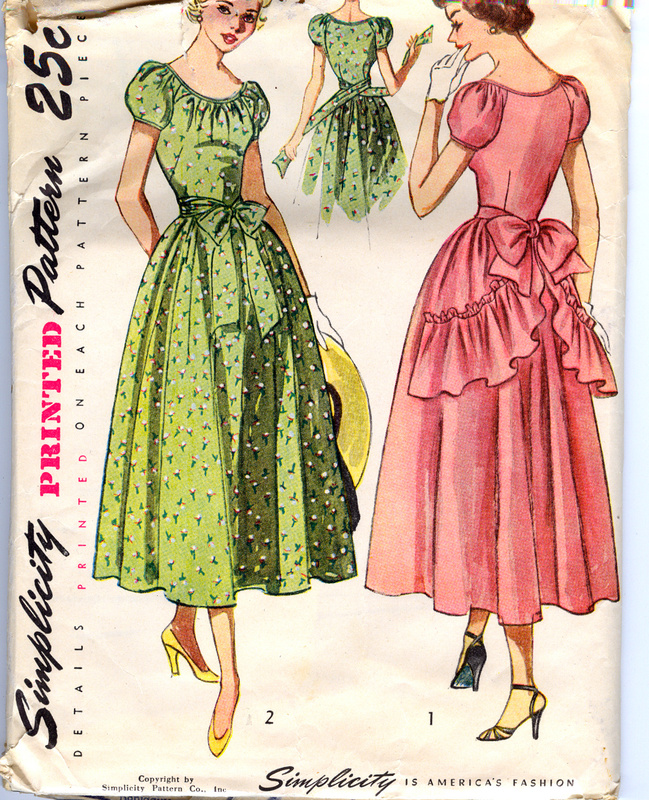 I think I'd like to sew really simple, cotton dresses in wild vintage fabrics. Thanks for the sweet birthday wishes, by the way! Simplicity and mccalls are goodies to sew.